David Bagsby is an esoteric synthesizer freak of sorts. He makes strange and compelling music. It is difficult to describe yet cool to listen to as you sort of get sucked into the journey. This is his 6th or 8th release it appears and here is what he has to say about it: "Think Jean-Michel Jarre meets Mike Oldfield at an outer space industrial park. This CD is a good way to test out your stereo equipment, particularly your sub-woofer. Euphoriants are recommended but not mandatory". One thing to note is that the only instrument on this recording is the Korg MS2000 Modeling Synthesizer and loads of effects. 98% of the material on the CD is improvised. David has a good roadmap to the unknown. Wish I could find one like it. 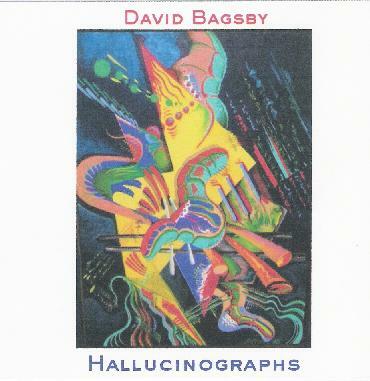 For more information you can visit the David Bagsby web site at: http://www.bagsby.com.